How do you react when you receive a parcel? Excited and eager to see what it is right? Now what happens before we finally see the real thing? We unwrapp, don't we? Of course we do! And we do it excitedly in spite of how difficult it could be. And when we can't do it ourselves, we ask for help right? Some parcels are wrapped in such a way that, you'll need tools to unwrap and open. If you have ever received a parcel from my mom, you'll know how unwrapping a parcel can give you stress and probably get you depressed. Some parcels also have very simple wrappings with no wahala. Most often, before something good and worth having comes our way, we go through a lot of hardships and challenges. Some are very depressing, some are not so difficult, while still, others can make you nearly hopeless. It is quite sad that during the difficult moments, we're hardly able to keep up the excitement. There's a common saying that we are all familiar with "nothing good comes easy". God gives us parcels that we have to unwrap to see what blessing is hidden that will be to our benefit. These parcels come in various forms such as; business ideas, discovered talents, job opportunities, travel opportunities and many others. 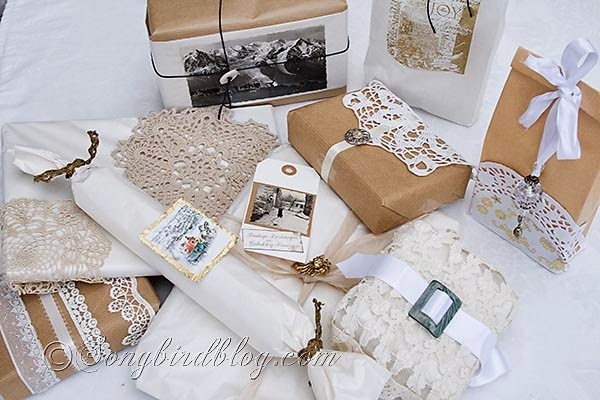 In order to get these parcels unwrapped, we need to go through the process of removing celotapes, cutting wrappers, opening boxes and all the things we do in the process of unwrapping the gift. We will have to work hard to unwrap the parcel and get to the gift that God wants to bless us with. And while we're at it, depending on how it has been wrapped, we'll face challenges and difficulties. And while we're unwrapping the fragile parcels, let us remember that we need to do it with care, and thus, it will take time. Just as we ask for help when unwrapping a gift, sometimes from the same person who gave it to us, let us also, In the same light, go to God and ask Him for help each time we face difficulty in unwrapping the parcels He gives to us.